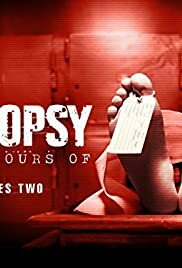 An examination of Corey Haim's autopsy report to dispel the rumors, and reveal the real cause of the actor's tragic and untimely death at the age of 38. The tragic passing and the drama surrounding beloved radio legend, Casey Kasem at the age of 82 in June 2014. Steve Jobs was a visionary product designer who revolutionized the computer world with much-loved products like the iPod, iPhone and iPad, but in 2011 he died of a treatable cancer. Richard. P. Shepherd reads out bits of Whitney Houston - Micheal Jackson - Karen Carpenter - Anna Nicole Smith and more autopsy which tells you not just the time and days leading up to their death but how they lived there life. You CAN cure cancer with "unconventional" medicine! Don't believe everything this guy says! Rick Simpson cured himself of cancer with cannabis oil! FACT! He also cured 5000 other people of cancer with his recipe!.. Plus, new studies have shown that cancer feeds on sugar! Cutting yourself completely off from sugar? A good idea!